The ongoing evolution of power metal since the millennial revival has had some truly curious twists and turns, from the hyper-technical and fast exaggeration of the style courtesy of Dragonforce and Cellador, to the massively produced and AOR infused variant ushered in by Masterplan and a few others. Within the early days of the current decade, an even more rock-infused yet also retro-80s heavy metal and synth-pop tinged and mostly female-fronted variant began to rise to popularity thanks to the efforts of Finland’s Battle Beast and Olof Morck’s side-project Amaranthe. Among the recent arrivals to this latest craze is a Stockholm based outfit in Metalite that takes this super melodic and posh style in something a bit more conducive to the spirit initially exhibited by Helloween and then later in the 90s by Stratovarius, all the while being quite distinct from the existing number of direct emulators of said bands by having a very stylized format that is about as infectious and consonant as could be imagined. When considering the second half of this band’s name, it is quite fitting that their debut album Heroes In Time would not be the heaviest thing to come about, but what it lacks in impact it more than makes up for in nimbleness and catchiness. Producer Jacob Hansen, known for his exemplary work with Pyramaze and Primal Fear, pulls out all the stops in creating what could be best described as the perfect reimagining of Stratovarius’ Infinite, if said album was stripped of all the meandering and droning of extended epics like the title song of said album and plodding, overlong ballads like “Mother Gaia” in favor of more upper-mid paced to fast bangers like “Hunting High And Low”. This is the exact picture painted with rocking anthems like “Afterlife”, “Nightmare” and closer “The Great Force Within Us”, each of which could be subtitled with some common phrases between the three of them and designated with a number given how similar they sound. Through the pulsating keyboards and massive sounding drum work, it gets a bit difficult to really qualify this as power metal in the turn-of-the-millennium sense as it listens more like a groovy, rocking offshoot of the style at best. However, closer analysis of some of these songs reveal a very riff happy character that morphs would be arena sing-along fits into fairly intricate musical affairs, be it the rhythmic twists and turns of synth-happy rocker “Over And Done”, with the somewhat longer and more involved “The Light Of Orion” even having some occasional progressive tendencies in some of the slower sections. Likewise, things actually launch into something a bit closer to the typical speed metal infused goodness typical to Stratovarius on “Power Of Metal”, and actually close the deal completely on the fast-paced, glorious anthem out of a Freedom Call album “Black Horse Rider”. All the while, the obligatory assortment of dueling guitar harmonies and solos befitting the style are present, albeit in a somewhat more concise package than the typical Gamma Ray album. Insofar as who an album like this is geared for, that would be those in the power metal community with no utter shame attached to their guilty pleasures and also a sizable array of non-metal rock fans who are the target audience of much of Nuclear Blast’s “extra-curricular” content. It definitely qualifies as power metal in the sense of the word, but it is so chock full of keyboard ambiences and fronted by a vocalist in Emma Bensing that is pristine sounding enough to have been a finalist on American Idol. It’s definitely geared towards the same general audience that goes for the pop sensibilities of Amaranthe and probably also those fans of female-fronted metal that like the lighter strains of power metal coming out of Japan of late. Basically, if one can blast out Freedom Call’s eponymous anthem at full volume out the car stereo in full view of a lot of people and feel no shame, this band will fit the bill nicely. 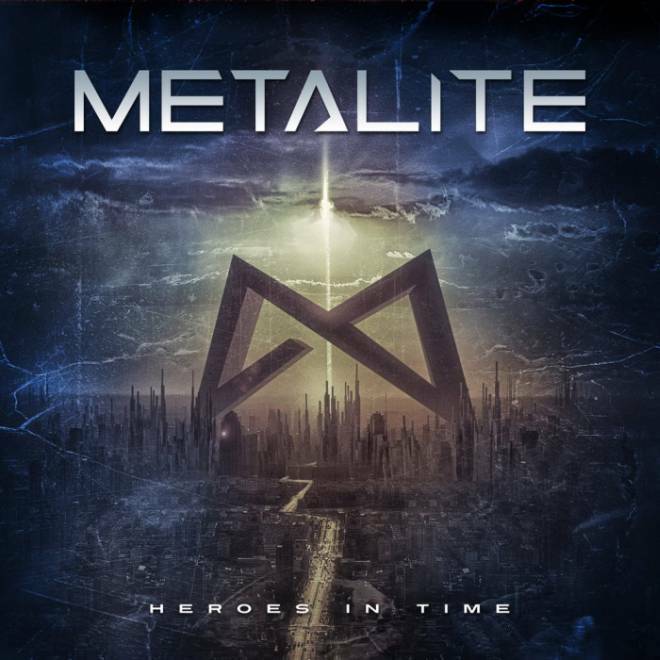 This entry was posted in Power Metal, Reviews and tagged 2017, amaranthe, Battle Beast, Freedom Call, Heroes In Time, Jacob Hansen, Melodic Power Metal, Metalite, Nuclear Blast Records, power metal, Sweden.